Stockton South MP Dr Paul Williams has further strengthened his ties with the small business community after visiting Odyssey Systems. Dr Williams MP visited the Preston Farm-based technology firm after initially meeting members of the Odyssey team at the Tees Valley Business Summit in the summer. During his visit to Odyssey’s head office Dr Williams was given a tour of the facilities, which includes a conference suite and technology demonstration area. The company’s internet services capabilities to clients were detailed to Dr Williams; due to the head office building’s height, it is able to increase the reach of Odyssey’s long-range high speed microwave links. 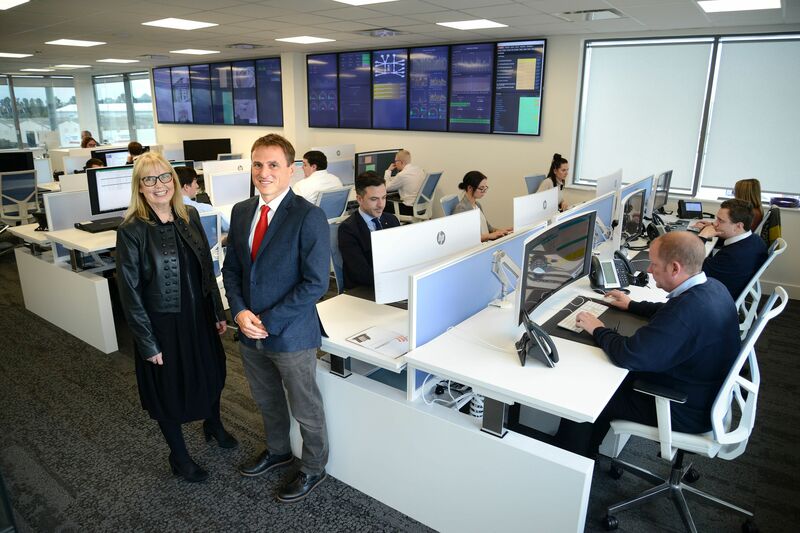 Established in 1987, Odyssey Systems is an award-winning company with a workforce of more than 30, who support in excess of 2,500 customers with their technology needs. Elected as the MP for Stockton South at last year’s General Election, Dr Williams is keen to build relationships with the small business community – one of his pledges was to protect local jobs and support the regional economy. Dr Paul Williams MP said: “Small and medium sized businesses across Stockton South underpin our economy and supply the majority of local jobs. I am so proud when I visit businesses such as Odyssey who are representing our area and through innovation are not only supporting other local businesses but really making a mark on their industry and collaborating with and helping other local companies. Teesside really benefits when businesses in our area work together and keep their spending local. “Meeting the Staff at Odyssey was a pleasure and I could see first-hand the passion they have for their work and the professionalism which has seen Odyssey win numerous awards. Christine Gilbert, Director of Odyssey Systems, said: “It was good to meet with Dr Williams after a positive, initial conversation at the Tees Valley Business Summit. We were keen to show him how we provide customer delight and supporting business of all sizes across Stockton and the tees valley with their technology needs.